WASHINGTON, D.C. – U.S. 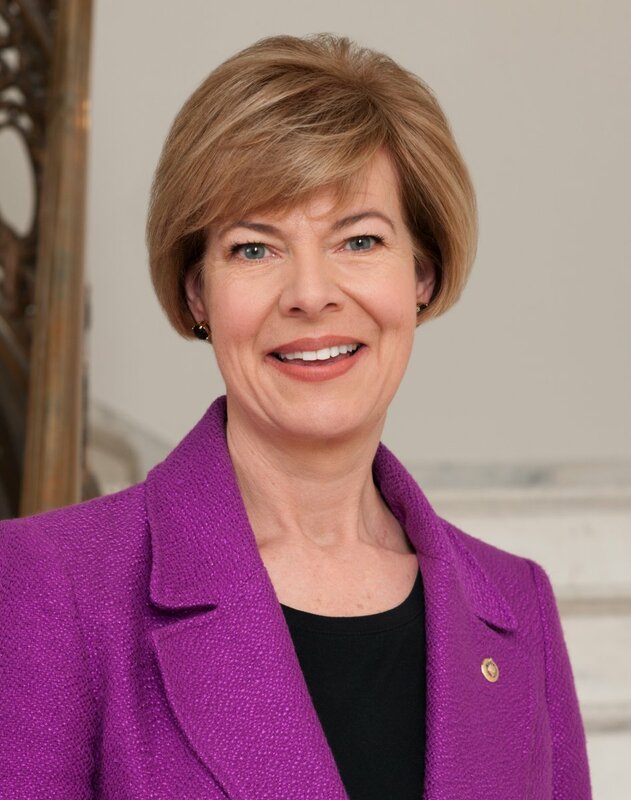 Senator Tammy Baldwin introduced legislation, the Water Technology Acceleration Act, which would incentivize the development and deployment of emerging water technologies to solve our most pressing water challenges, including lead safety, phosphorous reduction and treatment of bacteria and nitrates. While there are many companies that are developing these technologies, in many cases companies face barriers to market deployment. Senator Baldwin’s reforms would create a federal role for accelerating the testing, deployment and encouraging the commercialization of technologies, including pipes with smart sensors that can determine when water is contaminated or when water pressure is dropping. The legislation would also help accelerate technologies to address livestock waste treatment systems, green infrastructure and updated stream gauges, which can help reduce the costs of variety of water problems, such as upgrading water infrastructure and treating nutrients that run into surface waters. The Water Technology Acceleration Act passed the full Senate in 2016, but was not included in the final 2016 Water Resources Development Act (WRDA) that was signed into law. Senator Baldwin is pushing for its inclusion in the current version of WRDA, which is soon expected to come before the full Senate. “We applaud Senator Baldwin’s bill which promotes a needed focus on the development of innovative water technologies. The Milwaukee region has for years been fostering the development of energy efficiencies in water treatment, resource recovery, and green infrastructure through partnerships between the City of Milwaukee, the Milwaukee Metropolitan Sewerage District and The Water Council. These efforts have helped Milwaukee take a lead nationally and internationally in promoting water technology for the 21st Century,” said Kevin Shafer, Executive Director, Milwaukee Metropolitan Sewerage District. “The clean water sector is moving rapidly toward transforming itself into a resource recovery sector that recycles nutrients, recovers water for reuse, brings cutting-edge research and innovative technology to the market to create jobs and economic growth. Senator Baldwin’s bill will help accelerate this transformation to the Utility of the Future. NACWA applauds Senator Baldwin’s leadership and is pleased to support this legislation,” said National Association of Clean Water Agencies CEO Adam Krantz. Creates the Innovative Water Technology Grant program: These grants would fund public-private partnerships that deploy, test and improve emerging water technologies. Grants could be used to address water quality issues, such as new real-time sensors that can alert users when tap water is contaminated, improvements to residential filtration technologies that address groundwater contamination and piloting of technologies that treat manure on farms. Supports communities to use innovative technologies to address drinking water challenges: The bill would help communities deploy innovative technologies to address their drinking water challenges. Many communities face threats to the quality of their drinking water sources, and this bill would help them pilot solutions they would not otherwise have the ability to deploy. It would also help them to provide better information to residents, so that families can have certainty every time they turn on the water that the water coming from their tap is safe. The bill would require EPA to evaluate the barriers to greater adoption of updated water technology and provide technical assistance to help communities use new technologies successfully piloted elsewhere. Supports communities to use innovative technologies to address wastewater and storm runoff challenges: The bill would also support communities to pilot new approaches to wastewater treatment and storm runoff. Many communities face enormous costs to updating their systems to meet water treatment requirements. Water technologies can help reduce those costs to ratepayers by focusing investments on new approaches that achieve the same water quality improvements and may have additional benefits to the community and ecosystem. For instance, green infrastructure projects such as rain gardens and porous pavement can reduce the need for additional storm water storage structures, and also result in cleaner water as the storm water is better filtered before it drains into our rivers and lakes. The bill would require EPA to evaluate the barriers to greater adoption of updated water technology and provide technical assistance to help communities use new technologies successfully piloted elsewhere.